Prior to joining Famous, he was creative director at Lowe Mumbai. 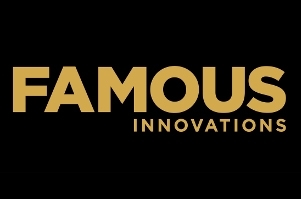 Famous Innovations has roped in Jeff Emmanuel as head of creative, Bangalore. He joins from Lowe, Mumbai where he was creative director. Having started his career with Ogilvy & Mather, Emmanuel joins Famous with about 12 years of experience. He worked with JWT Chennai/Bangalore on brands such as Times of India, Sulekha, Ford, Pondicherry Tourism, and Louis Philippe. He then moved on to Lowe Lintas Bangalore/Mumbai where he invested five years in fashion and lifestyle brands including Tanishq, Fastrack and Flying Machine, as well as digital brands such as Grofers, Freecharge, Faasos and Hotstar. Speaking on his appointment, G V Krishnan, CEO, South, Famous Innovations, says, "Jeff is one of the most fiercely passionate creatives I have met. He has a great sense of design and has extensive experience in fashion and understands its interplay with emotion deeply. His passion for technology and open thinking makes him an ideal creative leader for us, a future facing agency. I look forward to our partnership with eagerness and am confident of building brands and creating work that works for our clients." Emmanuel adds, "The first thing I liked about Famous was that it felt like a very emotional agency. Both Raj and GVK put people first and have created a culture of humility and sincerity, which is rare these days. Also, I can see that Famous truly believes in young talent and new age thinking. It is a place that will challenge you to think more and do more, and I'm excited to get going."